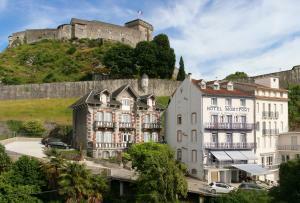 Hotel Monfort is located in Lourdes, next to St.Michel’s bridge and 150 metres from the entrance to the sanctuaries. It offers en suite rooms with free Wi-Fi in public areas. Rooms at Hotel Montfort are brightly decorated and the en suite bathrooms have a shower. All rooms are serviced by a lift. A continental breakfast is served daily at Hotel Montfort. Guests also have the option to request full or half board catering. 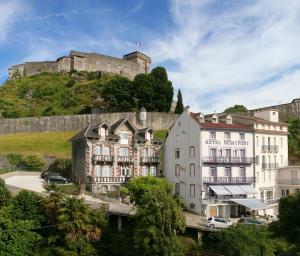 The hotel offers a panoramic view of the sanctuaries and the Château Fort de Lourdes from its terrace. Guests may also use the hotel’s living room, which has cable TV. Newspapers are also at the disposal of guests. Free parking is available on site. The Château Fort de Lourdes castle is located 700 metres from the hotel. 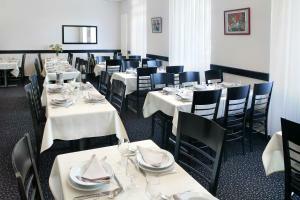 Lourdes train station is 850 metres away and Tarbes-Lourdes-Pyrénées Airport is a 20-minute drive from the hotel.